Almonds are the oval edible nut-like seed (kernel) of the almond tree, growing in a woody shell, widely used as food. Almonds nuts are rich sources of vitamins, minerals, protein and fiber. The almond is a species of tree native to the Middle East and South Asia. Almonds are sold shelled or unshelled. While the almond is often eaten on its own, raw or toasted, it is also a component of various dishes. Along with other nuts, almonds can be sprinkled over breakfasts and desserts. Almonds nuts are rich sources of vitamins, minerals, protein and fiber. Almonds are the complete sources of energy. Almonds are powerful antioxidant agent. Almonds are very effective for weight loss. Almonds help to prevent heart disease. Almonds help to maintain dental and bone health. 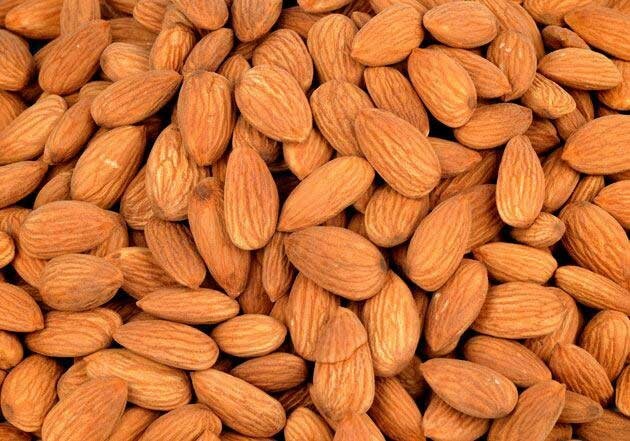 Buy different varieties of almonds, including Gurbandi Badam, Mamra Badams, Almonds Kernel, American Badams, Badam Giri online at KiranaPlace, a dry fruit store in India.